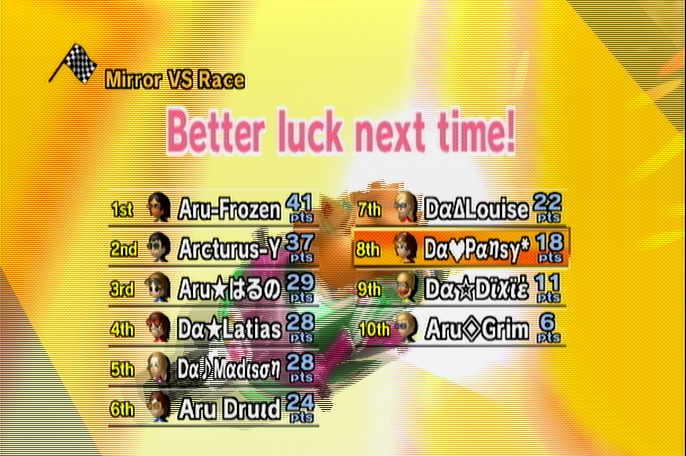 -One of them had the name Arcturus as a Mii name instead of having the Aru clan tag, so we gave them -15 for incorrect clan tag. 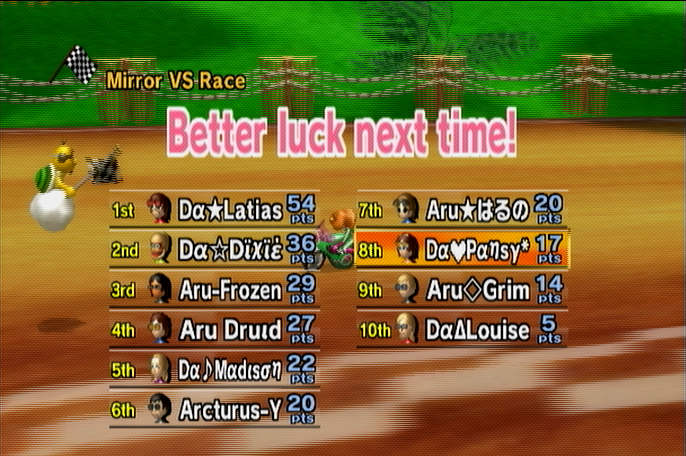 -We almost blew this one; without the penalty we only won by 6. 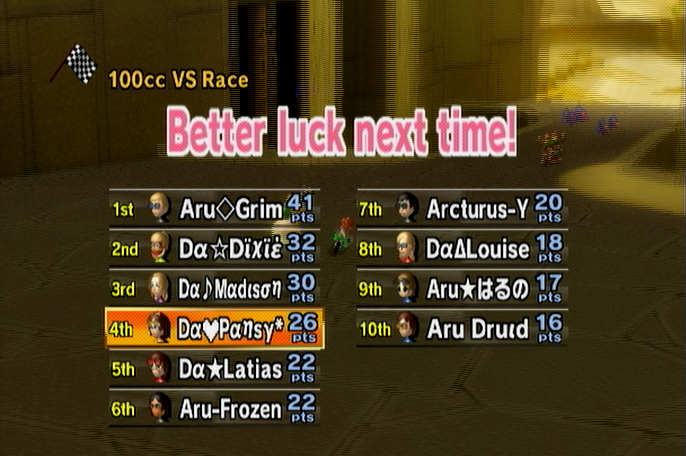 -It should not take this much effort to get a win. This month we're seriously off our game, while back in February we had a massive win streak going. ._.